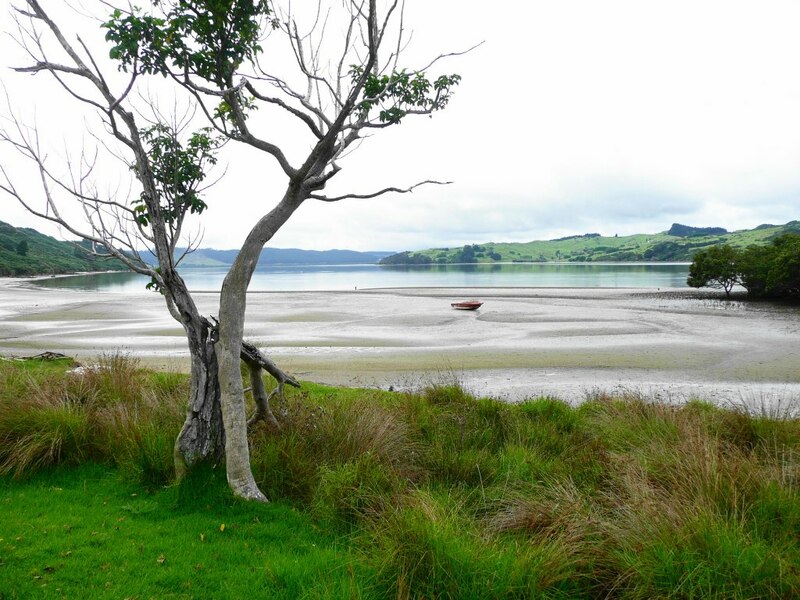 The Hokianga Harbour, always picturesque in all its many moods and hauntingly evocative of days gone by. 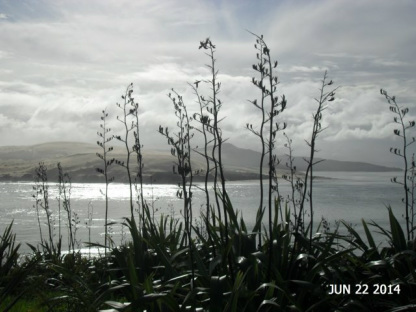 Rich in history and folklore, every bay, headland, and stream has a story to tell. 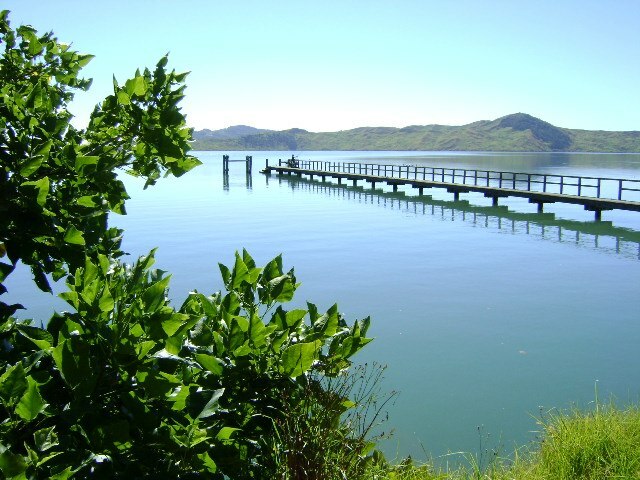 Our beautiful harbour provides us with food, transport, sport, recreation, entertainment, and fun. 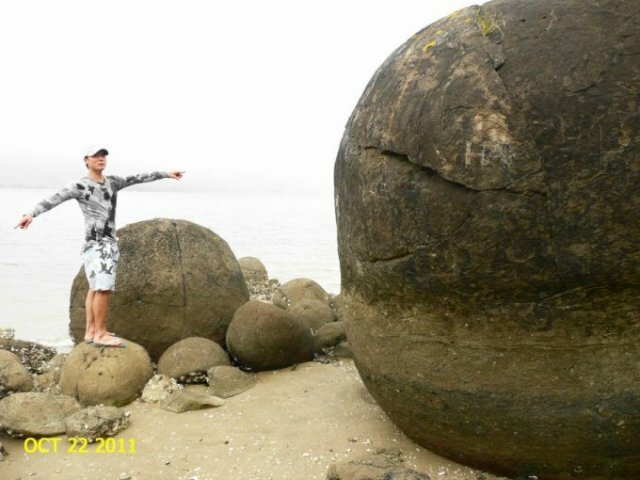 Rangi Point has its own version of the well-publicised Koutu Boulders, perhaps not quite as huge, but definitely much easier to access and equally as fascinating. Caught anything yet? 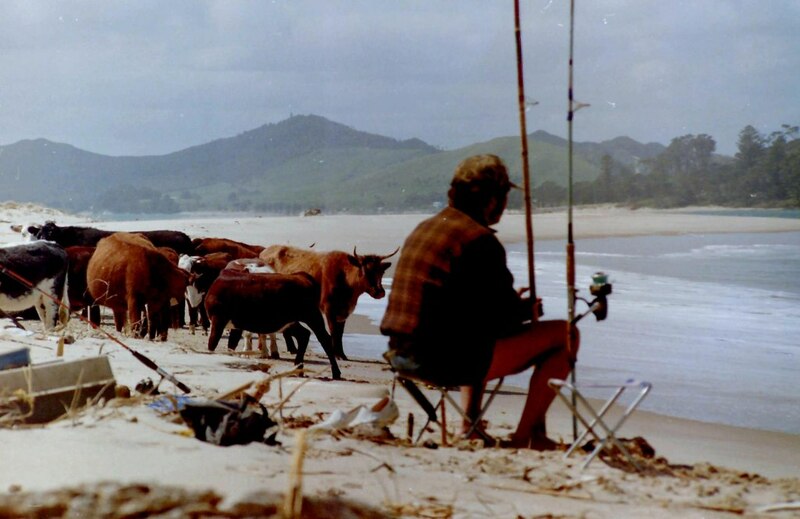 Curious cows and fisherman with Opononi in background across the harbour. 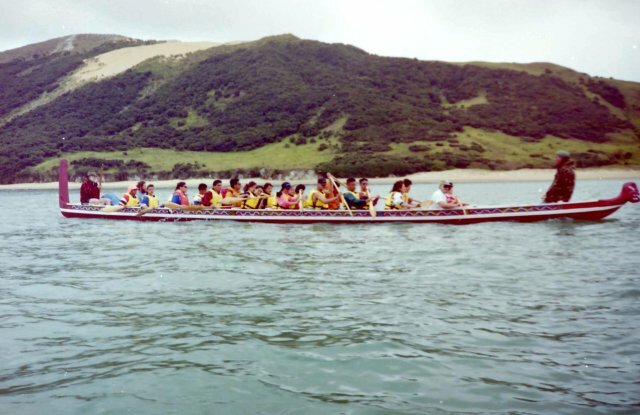 Panguru school students in the school's waka, "Te Ao Marama"
Sand dunes and hills of North Hokianga from South Head.